Israel, c. 1991. Hand crafted with the shape of an arched doorway with opening door. 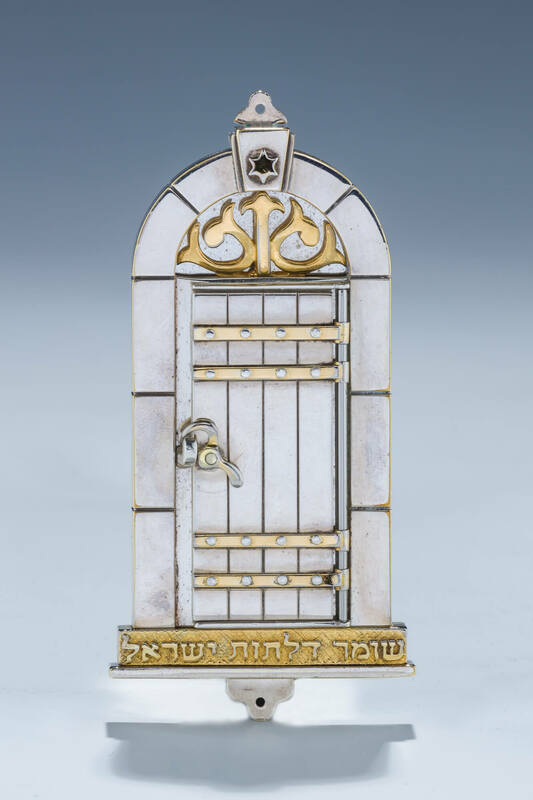 With gilded hebrew application “the keep of the doors of israel.” Signed. 3.6” tall.